More casting news is here for the two-hour television event that will serve to reboot 1975 cult classic The Rocky Horror Picture Show. is reporting that Christina Milian is set to play Magenta, a maid at Frank-N-Furter’s castle. 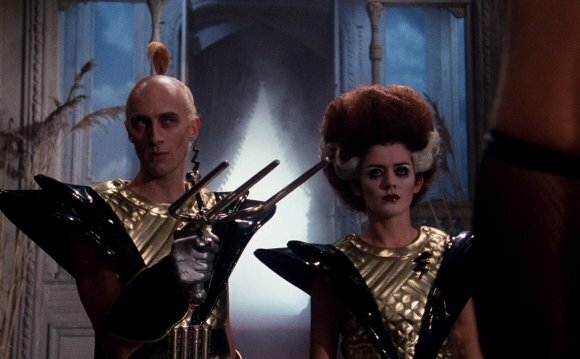 Patricia Quinn played the character in the original. She joins previously announced cast members Laverne Cox (Dr. Frank-N-Furter), Victoria Justice (Janet), Ryan McCartan (Brad), Adam Lambert (Eddie), Reeve Carney (Riff Raff), Staz Nair (Rocky), Annaleigh Ashford (Columbia) and Tim Curry, the original Frank-N-Furter, who is returning as the show’s Criminologist Narrator. In the small screen reimagining for Fox, sweethearts Janet Weiss (Justice) and Brad Majors (McCartan) stumble upon the bizarre abode of Dr. Frank-N-Furter (Cox), a sexually ambiguous, flirtatious mad scientist. The doctor is holding an annual Transylvanian science convention to showcase the birth of “Rocky Horror” – a fit, attractive man (Nair) created solely to fulfill Frank’s desires.